When the Pentium 4 was released it wasn't cheap, at least compared to the fastest Athlon. Not only that but the Pentium 4 can only run with Rambus memory right now. The problem with that is that Rambus is high priced, especially when compared to DDR, which is priced about the same as SDRAM. Well that was when the Pentium 4 came out in February, now, about 6 months later, prices have come down on both the Pentium 4 as well as Rambus. Not only that, but Northwood P4 should come out in September. Northwood will feature a 0.13 micron compared to Willamette's current 0.18 micron, and will also have the ability to configure your system with SDRAM or DDR memory. Let's take a look at current pricing for comparable processors from Intel and AMD. Taking a quick glance out our weekly cpu/memory watch you can see that the a retail 1.7GHz Pentium 4 goes for about $330 while a 1.4GHz Athlon retails for about $174. As for a memory comparison, you can get 256MB of PC800 non-ECC Rambus for $135, while 256MB of PC2100 DDR SDRAM will only cost you $42. So as a price comparison on an Athlon you would be spending $216, while a Pentium 4 would cost you $465, almost twice as much. There's another issue as well, a Pentium 4 requires a new power supply and enclosure. The power supply needs to be ATX12V which adds a 12V power connector that goes into a Pentium 4 motherboard. 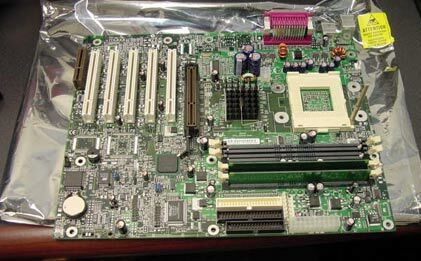 Also, Pentium 4 motherboards are a bit wider, and use the extended ATX format, which is why it requires an enclosure that supports it. Not only that but there are 4 new places to put stand-offs in order to mount the heatsink to core VIA Intel's new retention mechanism. Sounds like I am trying to bash the Pentium 4, doesn't it? Not true, these are just the numbers. 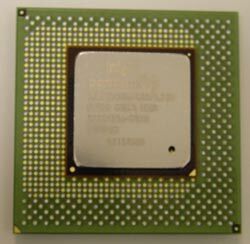 In the two processors we just compared, the Pentium 4 has a 300MHz advantage, and technically an extra 134MHz FSB (4x100 compared to 2x133). Does this really mean anything though? It's all about the numbers that the processor can achieve. Before answering whether or not now is the right time to buy, we will need to take a look at the benchmarks and see what kind of performance we are talking about. Remember that the Pentium 4 is known to boost its performance substantially for software that is optimized for it. There isn't much out there currently, but give it some time and there will be, so that is definitely something to take into consideration as well.